“A well-designed life is a life that makes sense . . . a marvelous portfolio of experiences, of adventures, of failures that taught you important lessons, of hardships that made you stronger and helped you know yourself better, and of achievements and satisfactions.” —Designing Your Life: How to Build a Well-Lived, Joyful Life by Bill Burnett and Dave Evans At the heart of choosing and the actively living a simply luxurious […] Listen now or continue reading below. At the heart of choosing and the actively living a simply luxurious life, is to live a life tailored to each of us. It will be unique, it will be thoughtfully constructed and a dynamic being, as our lives continually grow, evolve and expand due to our curious natures. As I share in my new book Living The Simply Luxurious Life: Making Your Everydays Extraordinary and Becoming Your Best Selves, I have been tailoring my life unconsciously since I was a young girl, and now consciously as an adult for the past two decades. Tailoring takes energy, intention and a desire to understand and then the courage to apply what we learn to our lives. It can be difficult at times, but ultimately, it is greatly rewarding as we are living in accordance to our true nature and discovering all the potential we have within us. Editing our lives – removing what does not align with our priorities and dreams, and making room for what enlivens us and brings us joy is a highly beneficial process. Imagine that dress that looks exquisite on the model or the hanger, and you know the color is precisely what will make your skin and smile glow if only you could shorten (or lengthen as it usually is in my case) the hem, taper the waist, but broaden the width of the shoulders and make the neckline fit just so. The dress in this instance is your life – you love living life, you are consciously aware of how awesome it is and the opportunities that could potentially come forth if only you had the time and energy to see them and then capitalize upon them. The tailor that will make the necessary changes to make the dress fit perfectly for you uniquely is you (with the help of experts in their field – i.e. books, writers, etc.). And yes, the tailoring will take time, but with careful awareness, the little changes begin to make a significant positive difference in how your daily and overall life begin to feel as you live the changes you have made. This is to tailor your life to fit you. And it is absolutely worth the time it will take. In fact, I have a feeling if you are a reader/listener of this blog/podcast, you had already been a tailor of your life for some time. But as the quote below reminds, a well-designed life isn’t something you tend to once and complete. Nope. Much like our favorite dress, we may need to adjust it over the years in all sorts of ways, but the dress (i.e. our life) is capable of adapting if we have made good decisions along the way. After all, our skin tone, eye color, hair color (okay, this can change if we want it too), height, shoe size and temperament do not change. We simply become better at understanding how to complement and enhance and thus, bring forth to the world who we truly are. And that is why we need to be a tailor of our lives, which is an ongoing job. Log your energy and engagement levels for each activity, noting the specifics of said activity, the environment you find yourself (physical, emotional, social, etc. ), what type of interactions you have with other people, other things – machines, etc., what objects were part of the experience – technology, analog, sporting equipment, instruments, etc. and who else was with you as you engaged in the activity? When I read this part of the book, I acknowledged that I can agonize from time to time, especially when it involves decisions of great risk or great change, but when I read the quote above, I was put at ease. When we replay over and over again in our minds the “what if’s”, we are agonizing and thus expending energy that would be better placed moving forward and letting go. Moving forward and letting go, trusting that we made the best choice with the information we had at the time will enable more ‘best choices’ to be made in the future. The art of letting go of agonizing and being able to move on takes self-discipline as it will be a habit you will have to break if you have been a seasoned ‘agonizer’. However, eventually the skill of letting go once the decision has been made and moving forward takes place will become habit as well. To frame it different, choose happiness. Better still, choose contentment. If agonizing does not bring you either of these feelings, then let it go. Now that you know in what ways your life would be best tailored to you, below are a few concrete areas to consider so that your everyday life – the want-tos AND the have-tos – can work best for the life you want to live. Last year, I shared 12 ways to automate your life. Be sure to check out the post to discover specifics everyday or routine tasks that can be tended to once and not repeatedly. Some of the ideas include finances, savings, bill paying, regular beauty items, etc. Whether you have the luxury of hiring someone to do the deep cleaning regularly or you are the cleaner of the house, find a system that is efficient both in energy and time. I have done both, and currently, feel fortunate to be able to have someone clean my house once a month while I maintain it with weekly pick-up cleaning sessions in between. However, this hasn’t always been an option, so I have followed a weekly and then seasonal cleaning schedule that enabled me to not have too large of tasks if I had put them off, but also make sure the big items (windows, refrigerator) were cleaned on a regular basis. Thoughtfully edit out and welcome what you enjoy, what keeps you informed, but without the excess. I recently discovered that simply by asking for a particular partial delivery (weekends only), which was more to my reading schedule and interest, I could not only save money, but reduce the amount of newspapers I was having to recycle. Currently, I have reduced the number of magazines I subscribe to (here is a list of all of the magazines I have subscribed to at one time or another, but I do not subscribe to all of these now), and I also subscribe to three newspapers: The New York Times (Sundays), The Wall Street Journal (weekend) and The Washington Post (digital). From making sure your canvas totes are already at the ready, as well as cotton mesh bags for produce so that no more plastic needs to come home with you, creating a place for these items will reduce extra bags that you will need to recycle and help the planet as well which will make you feel good for doing a small part to help. What brings you joy? What delights you during your day in your home or in your daily life at work or going about your regular business? We have spoken abundantly about small luxuries on the blog/podcast, so this idea will come as no surprise, but this is where you tailor the small luxuries that will elevate your everyday – whether it is always having fresh flowers in the house, to having beautiful French candles to help you wind down at the end of each day, welcome small luxuries into your life. Discover 27 ideas for bringing simple luxuries into your life in this 2013 post. In 2017, episode #187, I shared a list of 9 ways to Create a Healthy Approach to Staying Abreast of the News, and ever the advocate for staying informed, I also have experienced first-hand that there is also a breaking point for all of us when it negatively effects our lives. This is where tailoring is crucial for our mental and emotional health, which does contribute to our physical and then overall health. One significant change I have made over the past year is HOW I receive the news. Instead of watching it (the only news programming I view is NBR – Nightly Business Report – which focuses on solely economic news), I read or listen to the news. By doing this I am choosing when I listen, and or read, and I read my daily news brief each morning, sometimes a few articles that interest me and then save my Sunday reading for reading the entire papers (the sections that most interest me). This has helped me make the shift to be less reactive and more responsive thoughtfully and when I see necessary. Whether it is our home where we have much more control to design our environments or our workplaces, where we may not have as much, but we can still pay attention to what we do, doing so for each is one of the most significant tailoring jobs we can take on to improve the quality of our lives. Style, whether it is our clothing, our homes, how we speak or how we go about living our lives, is a form of communicating with the world our life experience, our values and our dreams. To not at least be aware of this power, is to ignore a powerful way we can engage with our lives more fully and elevate them with our choices when they align with our true selves. Do you make food a source of pleasure as well as nourishment? Do you celebrate with food small and large moments of your life with those you love? Food and how we approach engaging with food, how we speak about food, is an everyday part of our lives. If we curse food, that is negative energy we are bringing into our lives. If we berate ourselves for eating certain foods, that is a choice we are making before and after that negatively affects our lives, but we can tailor this part of our lives as well. As we become knowledgeable about food, recognizing that we do not need to deprive ourselves, the food we eat, how we prepare it and how we approach creating the meals we enjoy with ourselves and others, can become a wonderful source of joy. Check out TSLL’s archives on Health which is all about Elevating the Everyday Meal with Seasonal Fare (and also check out TSLL’s new venture into the cooking show genre with The Simply Luxurious Kitchen – 8 episodes are now available). In 2014 and again in more detail in my new book (2nd book), I share the “how” of Tailored Simplicity: How to design a life that is in alignment with your priorities, values, passions and talents. So much of what is shared on TSLL is about designing your best life and tailoring to the unique person you are. Hopefully the above list will jumpstart you in the direction of paying attention to the little details that when tended to thoughtfully will make an impressive positive difference. Most importantly, our lives our ours to curate. Often, we don’t realize how powerful changes in our default thinking, in our default way of living can change the quality of our lives. The key is to live consciously, make the best decision we can at the moment and continue to enjoy the living part, which is the only part that truly matters. Even with the have-tos that will bring us to the destination we seek, there is goodness to be savored, appreciated and enjoyed. Living thoughtfully, letting go of what is done and making the most of what is and potentially can be has the power to make your life an awesome experience each and every day. ~TSLL’s 2nd book is specially written to help readers tailor their lives to their most authentic selves. Discover how to cultivate and strengthen the many tools that will elevate success in your everyday life, career, relationships and much more. ~Visit Monty Don’s website for he posts monthly tips for gardening. 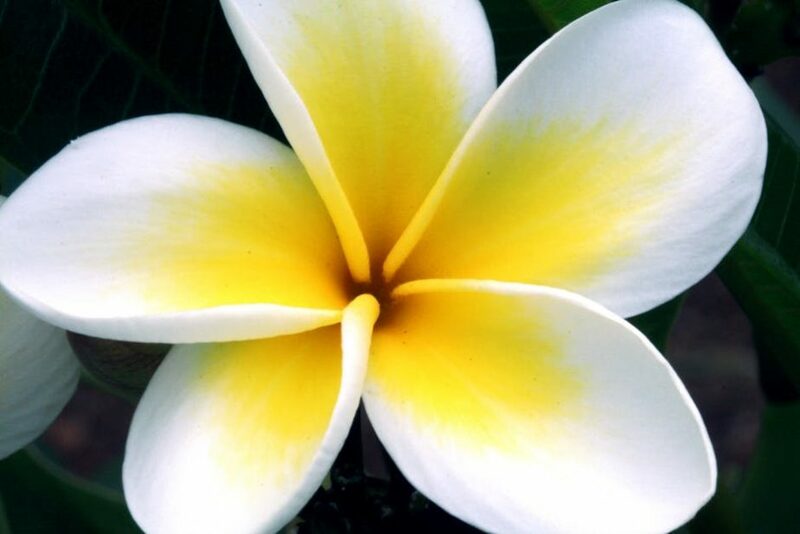 Bonjour Shannon: Thanks so much for introducing me to Monty Don and his world of gardening. 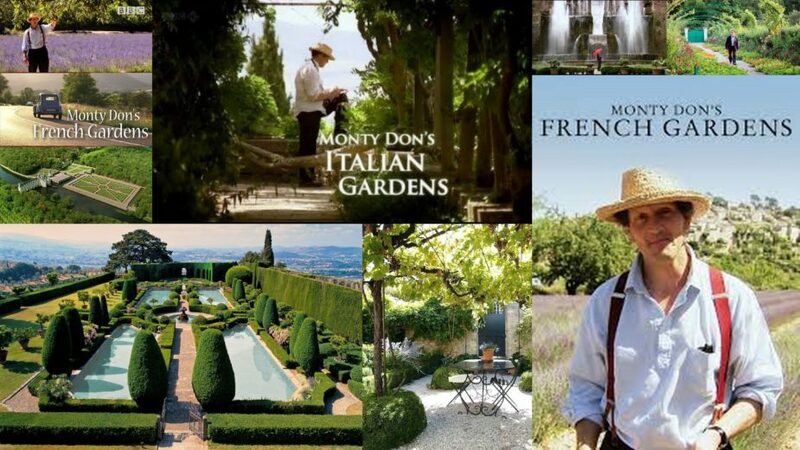 I’ve watched his series on both French and Italian Gardens; loved them both! Even though his gardens are much grander than mine, his website does offer valuable insights and tips. Weren’t they lovely?! So inspiring and his passion is made evident in each for his love of gardening, as well as history.